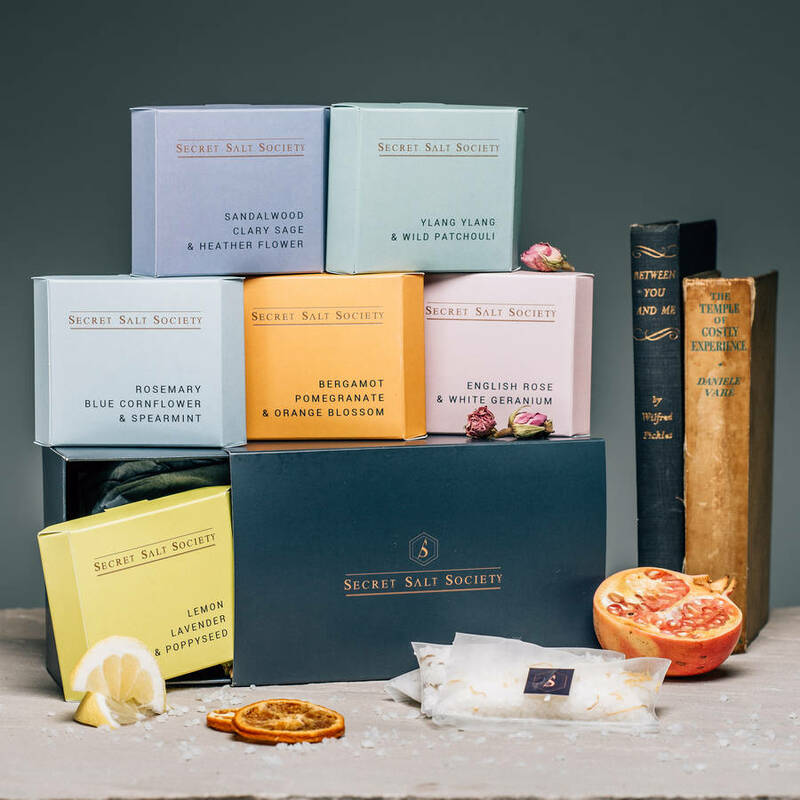 A collection of six uniquely blended infusions to create a spa-quality bath experience at home. 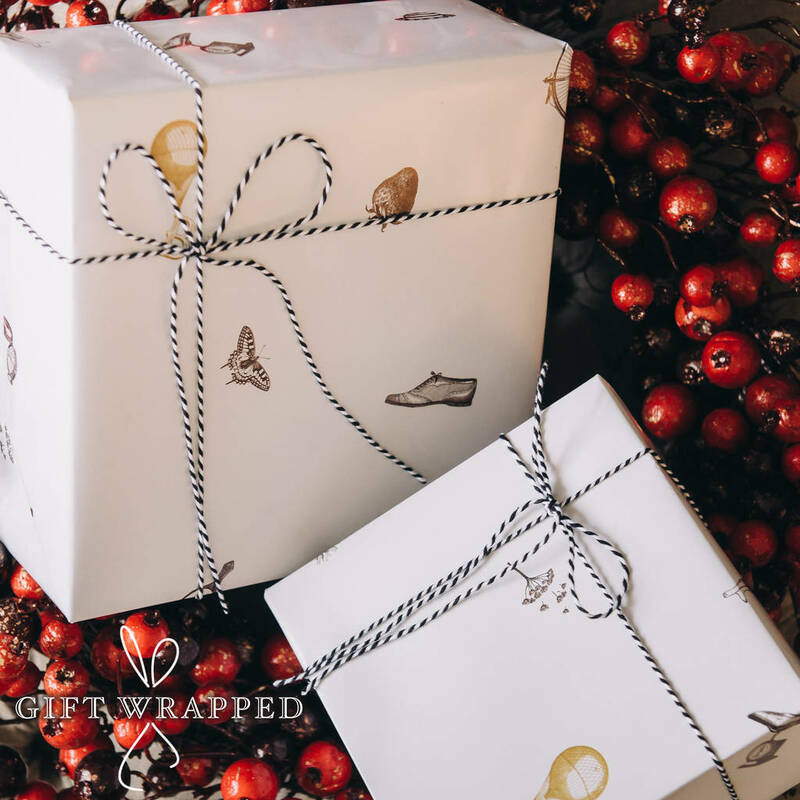 Supplied in a gift collection box with accompanying menu card. Wonderfully unusual present that everyone will appreciate. 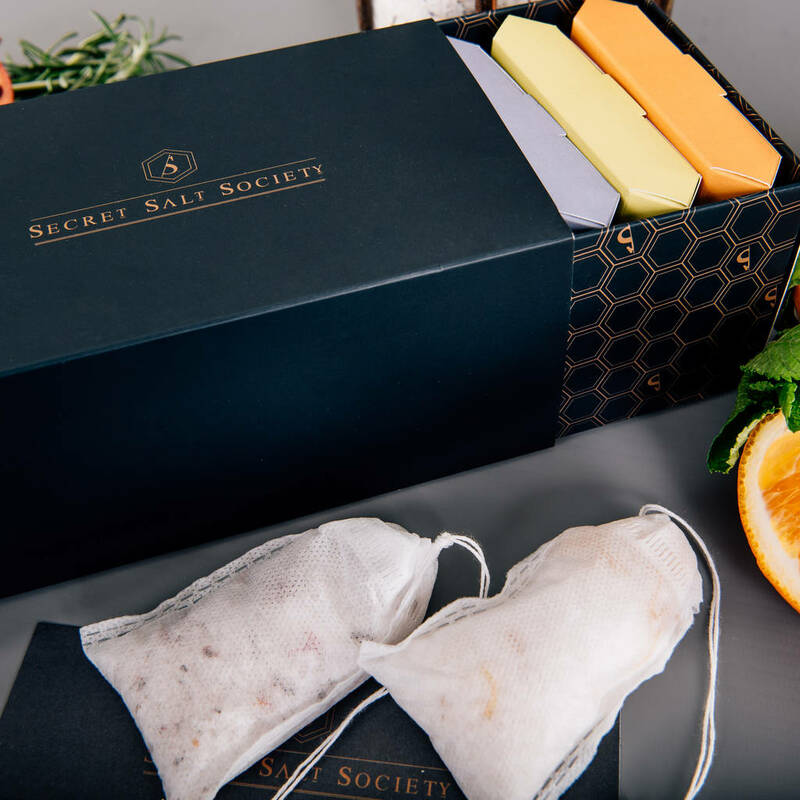 A great, 100% natural, alternative to bath bombs, with no mess or staining. Blended to aid...Relaxation, Detoxification, Circulation, Healing & Moisturising. 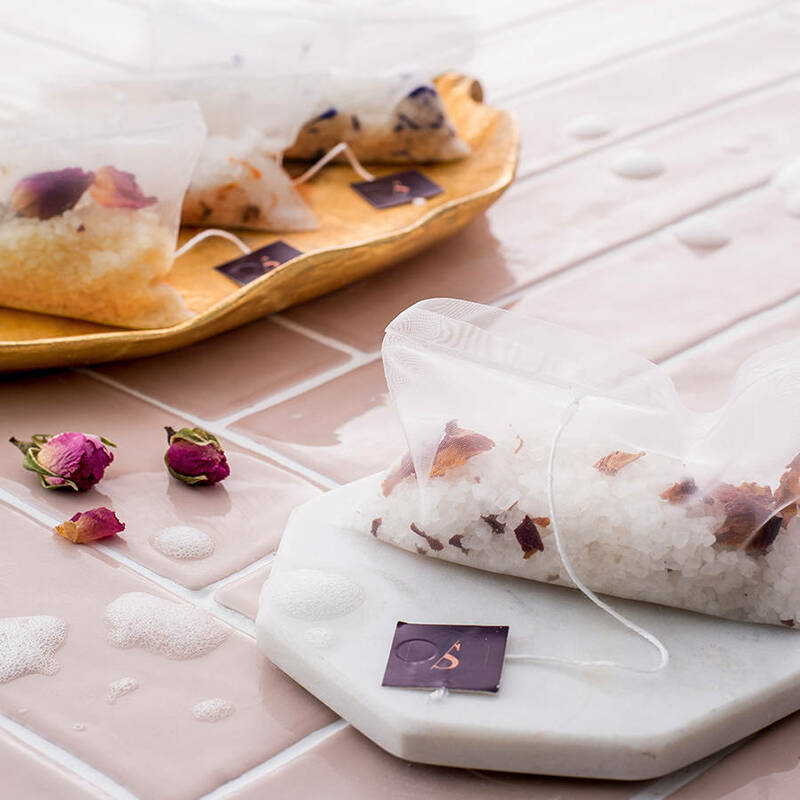 Drop an infusion into a warm running bath, then simply remove once the contents are dissolved. 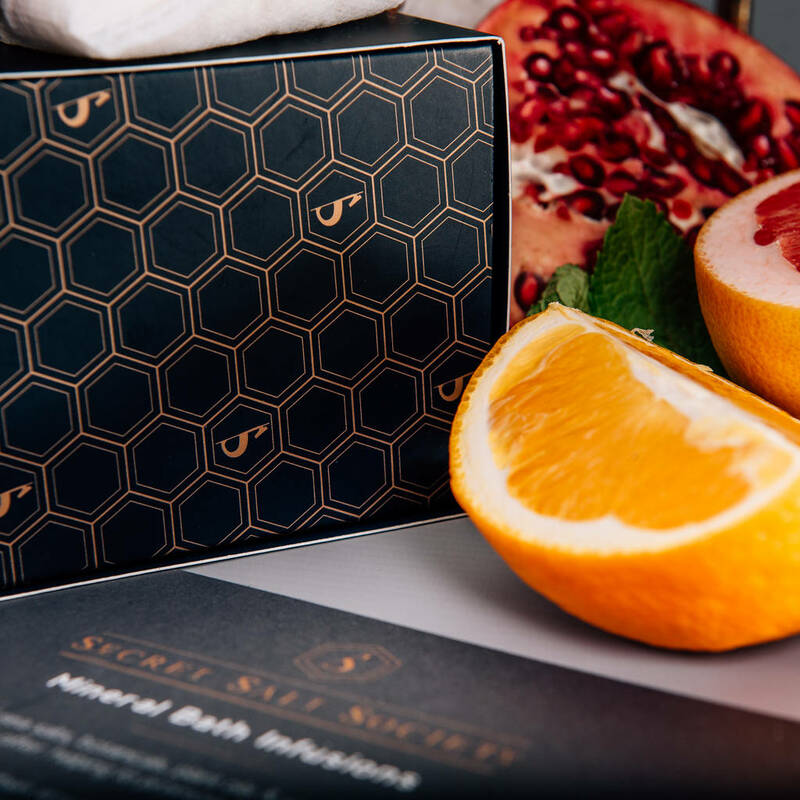 All our handmade products are jam-packed with only the finest natural ingredients. We are 100% against animal testing and approved by Cruelty Free International & The Vegetarian Society (vegan-suitable). Dead sea salts, minerals, essential oils & botanicals. 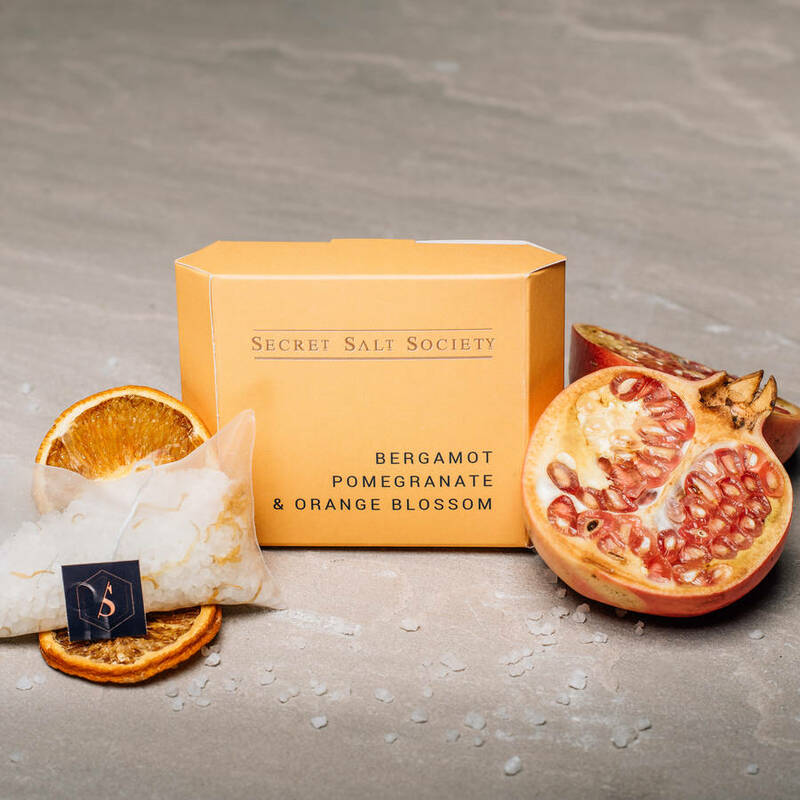 Bergamot, Pomegranate & Orange Blossom : A dreamy blend, mixed to soothe all sense. 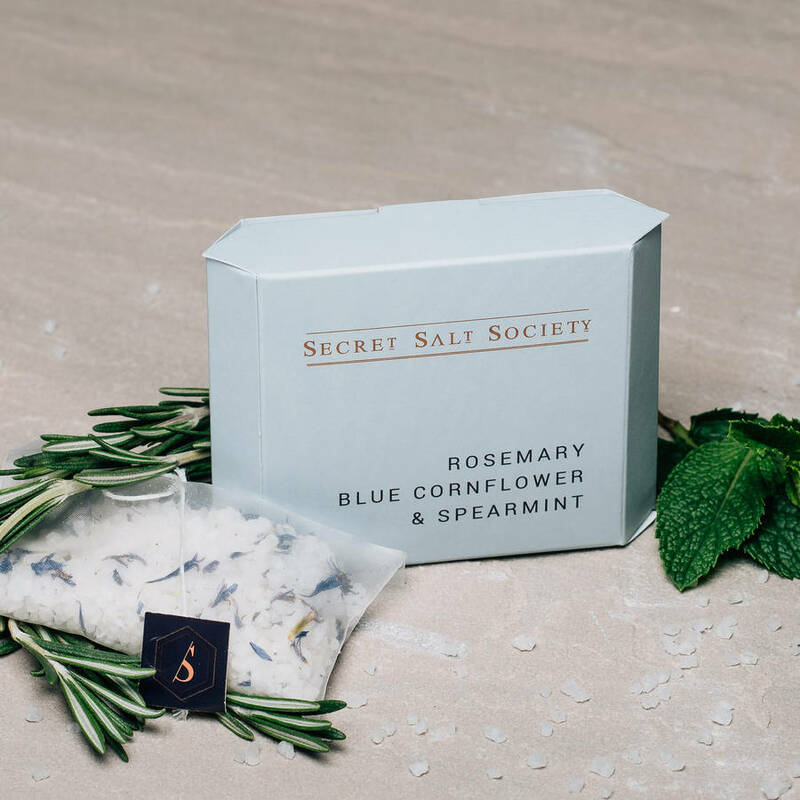 Rosemary, Bluecornflower & Spearmint : A clarifying, grounding blend to clear the mind and regain balance of thoughts. 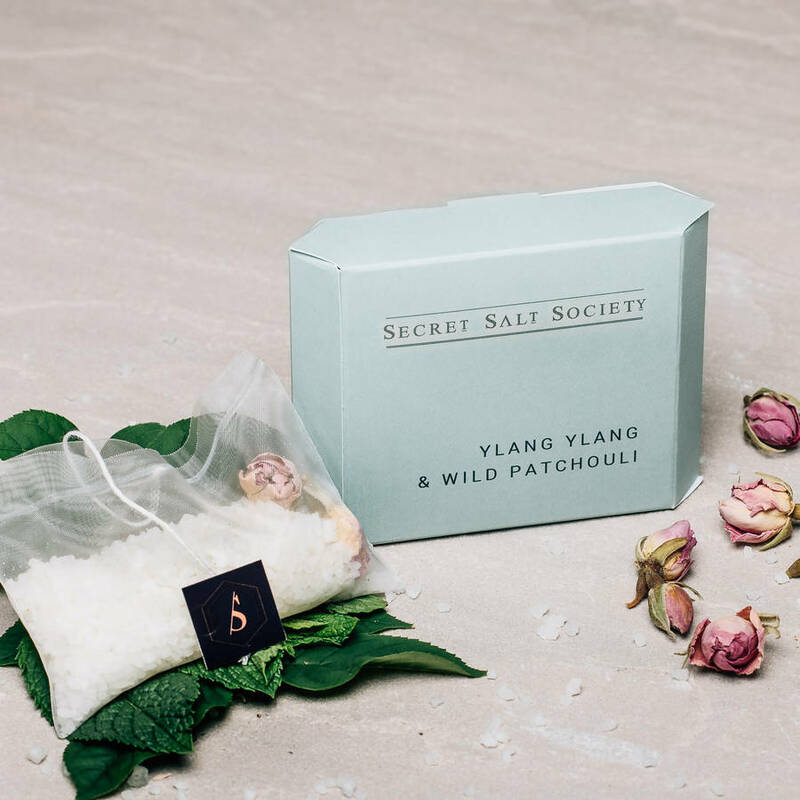 Ylang Ylang & Wild Patchouli : A blend to help the mind and body deeply relax and unwind, whilst lifting a dull mood. 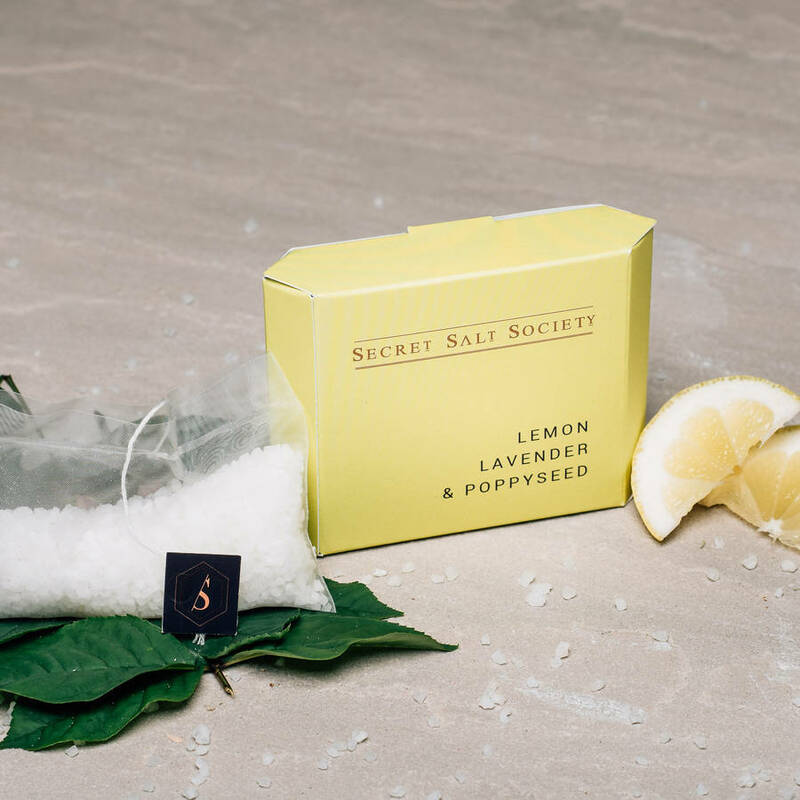 Lemon, Lavender & Poppyseed : An invigorating, energising, uplifting blend. 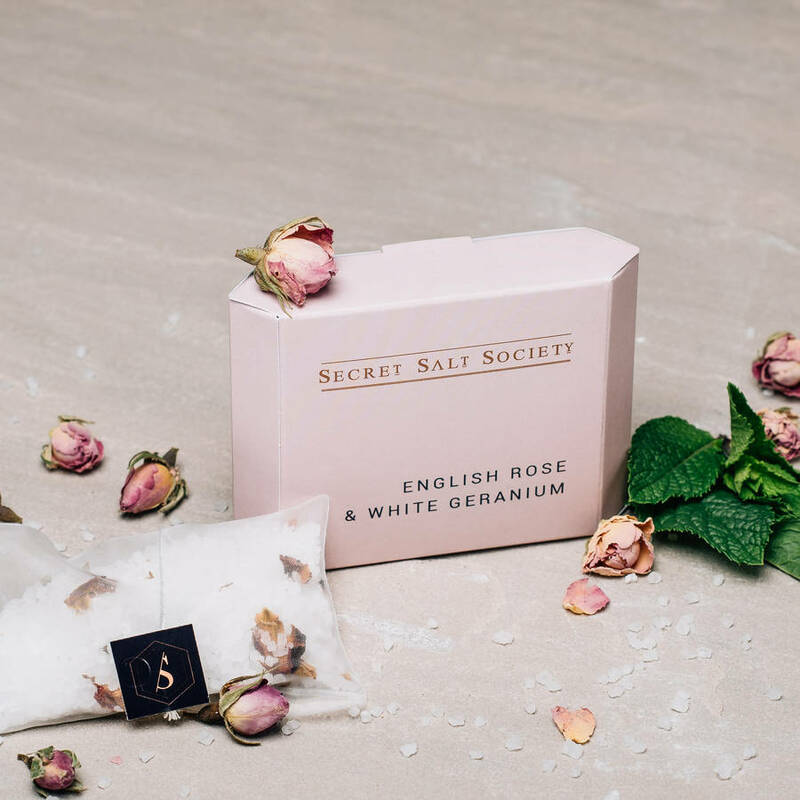 English Rose & White Geranium : An immensely rich blend to calm the body and soul. 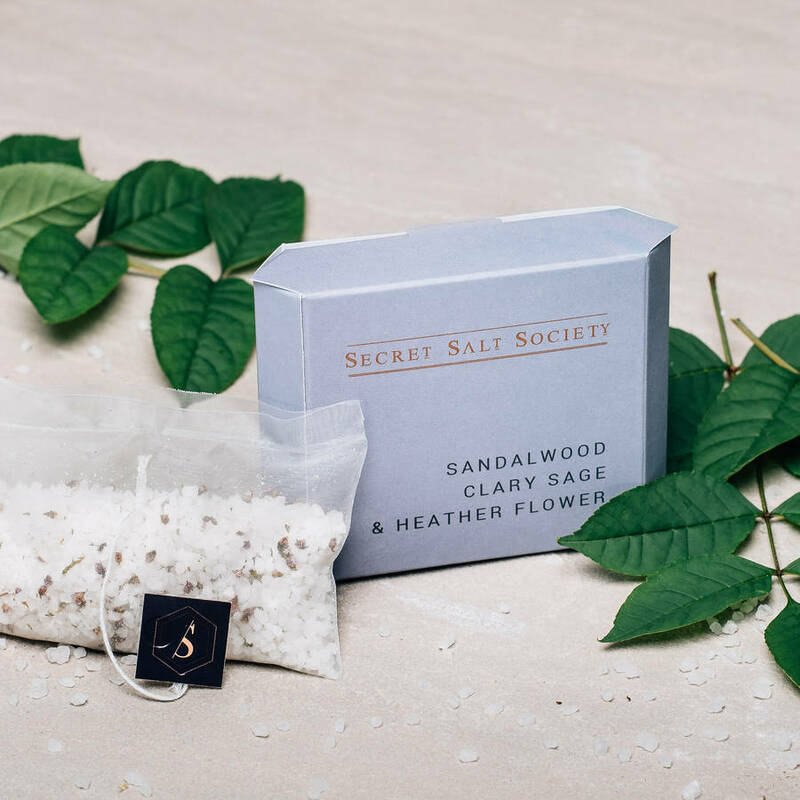 Sandalwood, Clary Sage & Heather Flower : A stress-busting blend to help the mind regain control and refresh achy muscles.